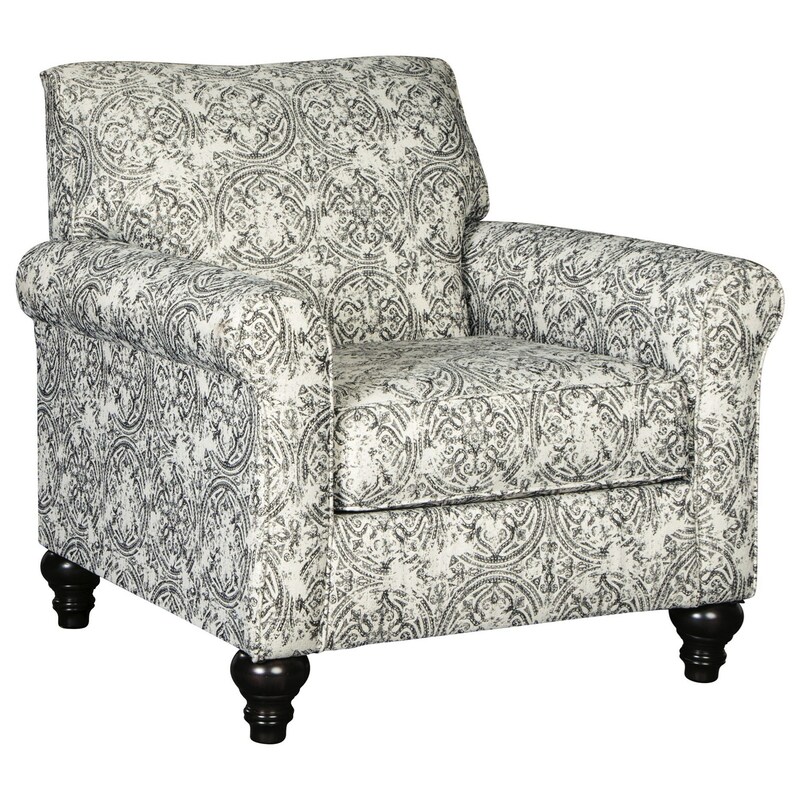 This traditional accent chair brings a charming sense of sophistication to your living room. A stylish upholstery design, along with classic features such as turned feet and subtly rolled arms create a unique blend of old meets new for this piece. This mix of fashionable style and timeless design ensures your home will always be ready to put its best foot forward. The Praylor Traditional Accent Chair by Benchcraft at Sam Levitz Furniture in the Tucson, Oro Valley, Marana, Vail, and Green Valley, AZ area. Product availability may vary. Contact us for the most current availability on this product.